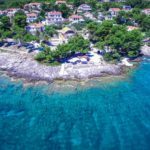 Probably the phrase most used about Croatia is that it’s the “Mediterranean as it once was” and indeed the Croatian coastline is so charming that each old stone town is a new favourite. 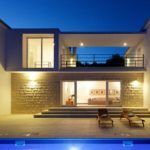 But Croatia is also emerging as a haven for contemporary villas - and some stunning properties are popping up. 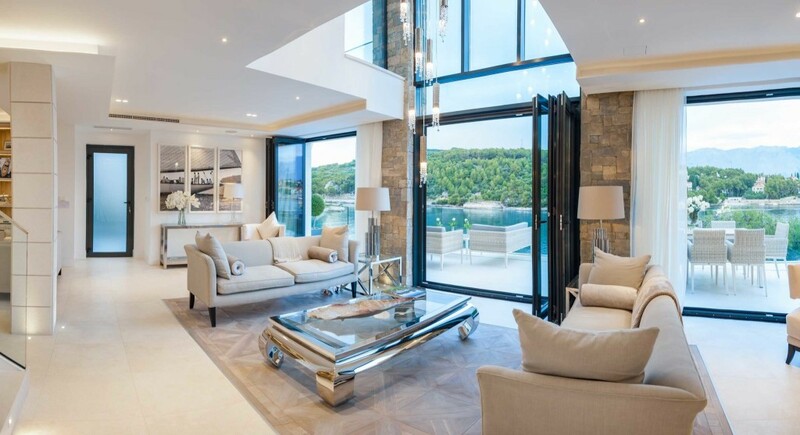 Modern architectural designs perfectly set off the natural beauty of the locations themselves with villas often being situated on the sea edge in wonderful coves or vibrant bays. 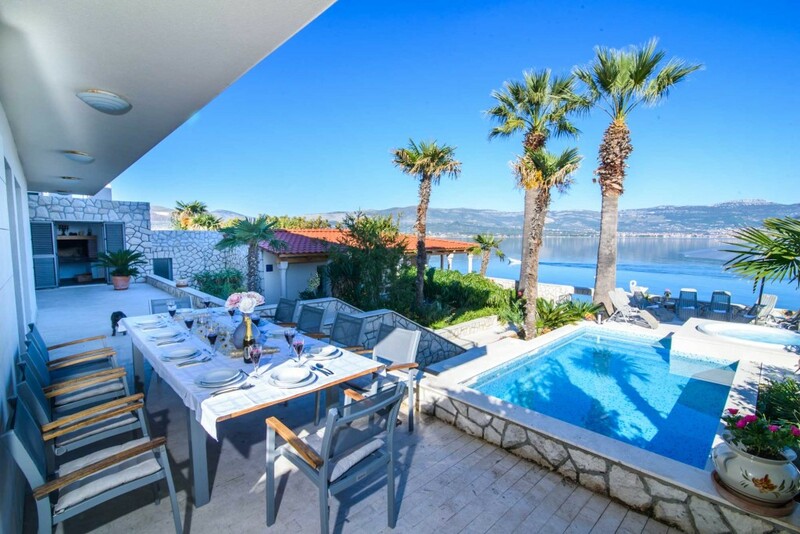 Villa Poppy, on Korcula Island, is one such villa - located just 5 km from Korcula town it has a luxury design, spectacular views and direct sea access. 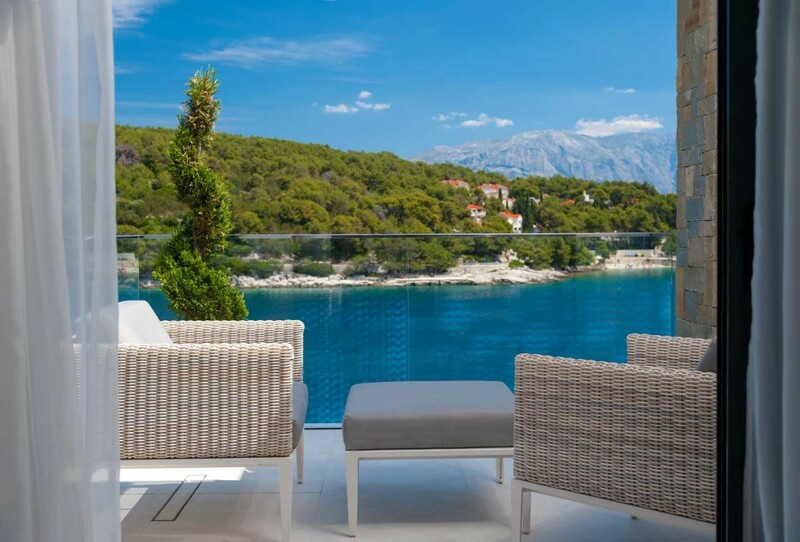 With views to the Peljesac peninsula there is plenty to wow you from the huge windows. 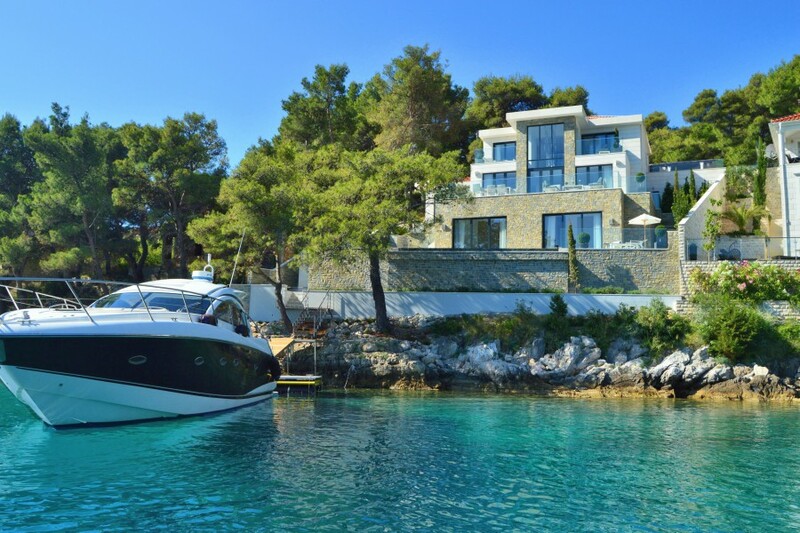 Korcula Island is real getaway and is fast gaining a collection of luxury and contemporary villas. 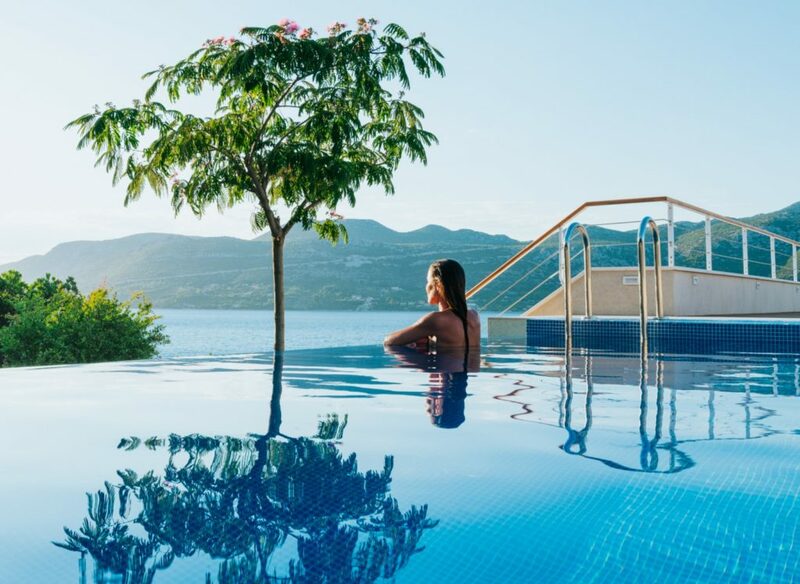 Easy to get to from Dubrovnik or Split, the island has retained its authenticity and beauty and has a draw for those who want to escape the stresses of everyday life. 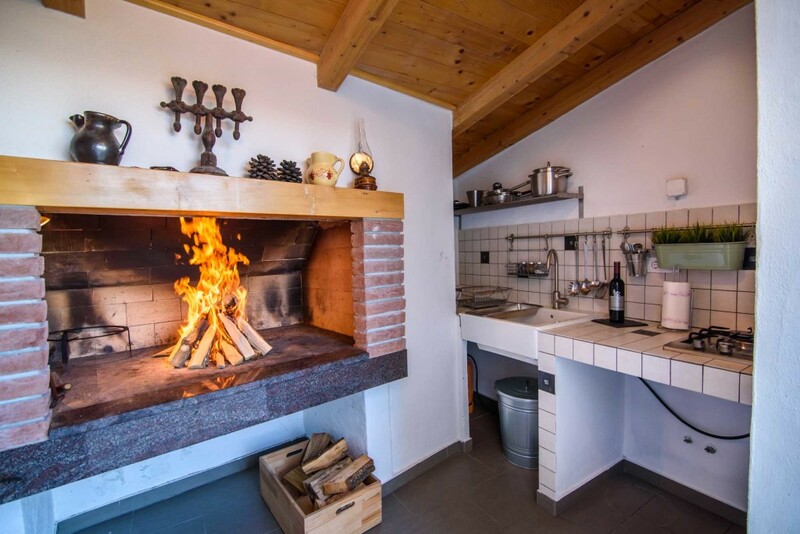 With a myriad of little coves and pretty little towns, good restaurants are establishing themselves. 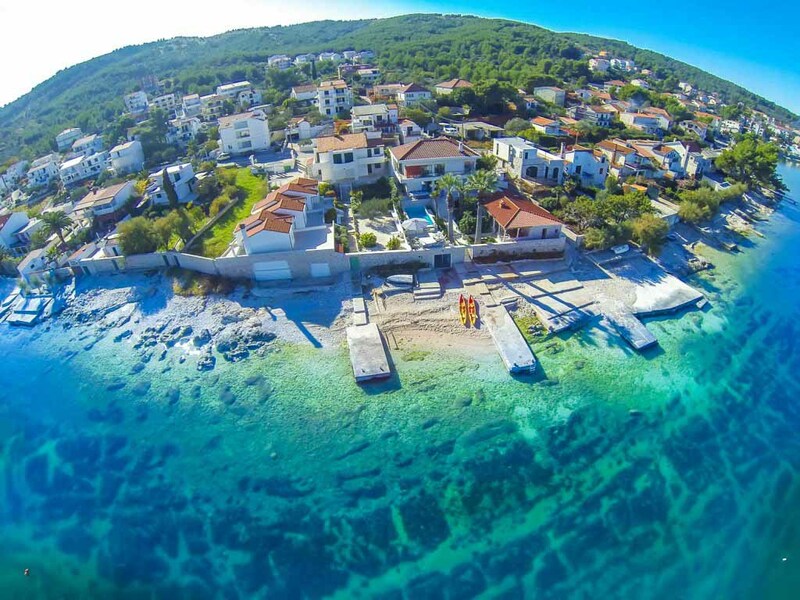 Korcula Town is well known and an easy hop from Orebic on the Peljesac Peninsula but there are lovely locations all over the island with their own merits. 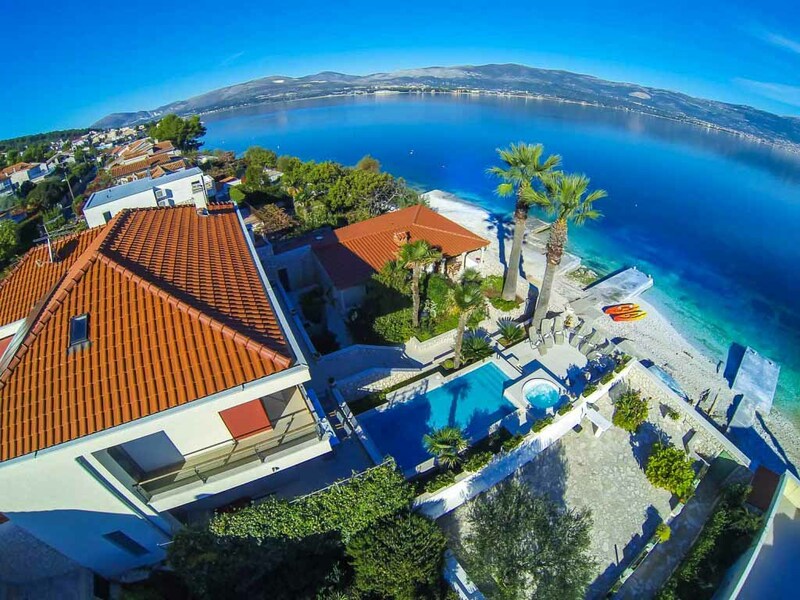 A bit further along the coast, the Twin Villas are another two beautifully presented villas situated in a quiet little bay near Zrnovo, just outside Korcula town. 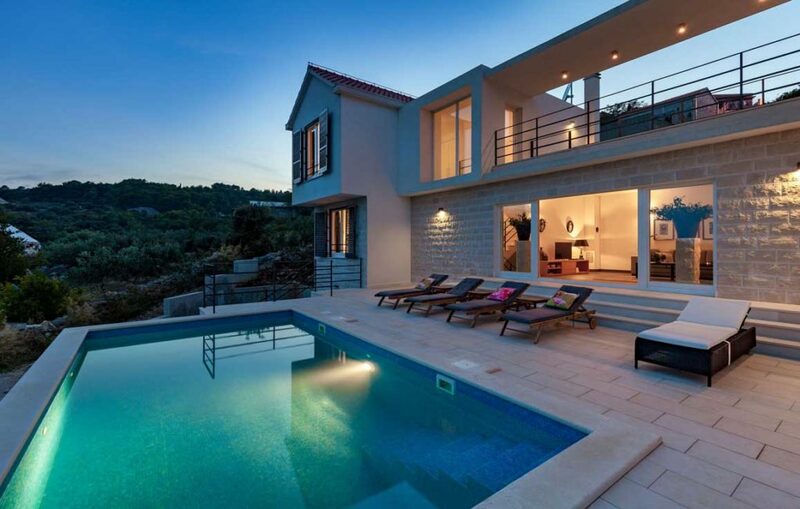 With large bedrooms, roof terraces and heated pools, the villas can be rented separately or as one. 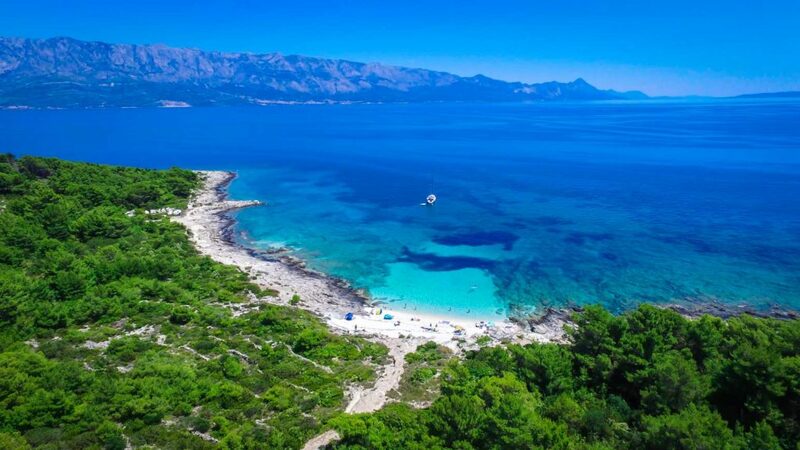 the little pebble beach is just across the road from the villas and Korcula town is just a short drive away (4km) with it’s lovely cobbled streets full of shops and restaurants. 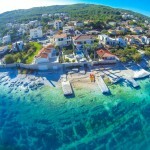 Another island taking the lead with contemporary villas is Brac Island - take Villa Aspire for example. 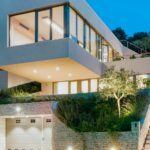 Situated just above Sumartin Bay, yet more large glass windows provide great views over the pine forest to the sea and inside, the villa has been done out in an attractive, contemporary style. 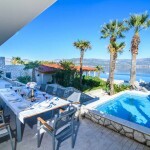 Just down the lane sits Villa Oceana right on the sea edge, just outside of Sumartin Bay. 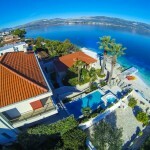 Villa Rubin is next door and both have beautiful views of Sumartin itself with Mount Biokovo on the mainland just behind. 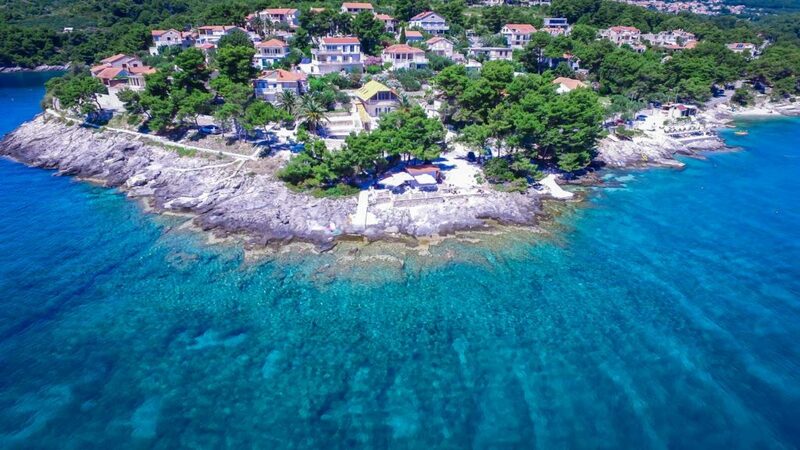 The villas are ideal for family holidays or groups of friends who want to spend time together while enjoying the natural bounties and delicacies of Brac Island. 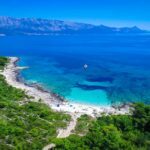 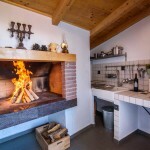 Those who prefer more entertainment and activity can easily visit Croatia's most famous beach, Zlatni Rat Beach or Bol Town , which has a lively nightlife and plenty of sporting activities. 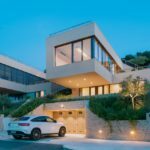 Palm Tree Villa is a contemporary beach house on the sea edge. 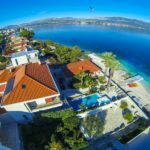 It’s a stone’s throw from the ambiance-ful Trogir Old Town with its little lamp lit streets full of gorgeous little shops t meander around. 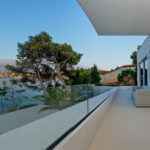 With new eateries on the scene like high end Restaurant Don Dino, Trogir Old Town is going up a gear in the foodie credibility stakes and as the gateway to the Dalmatian Islands, this is a vibrant place to be all round. 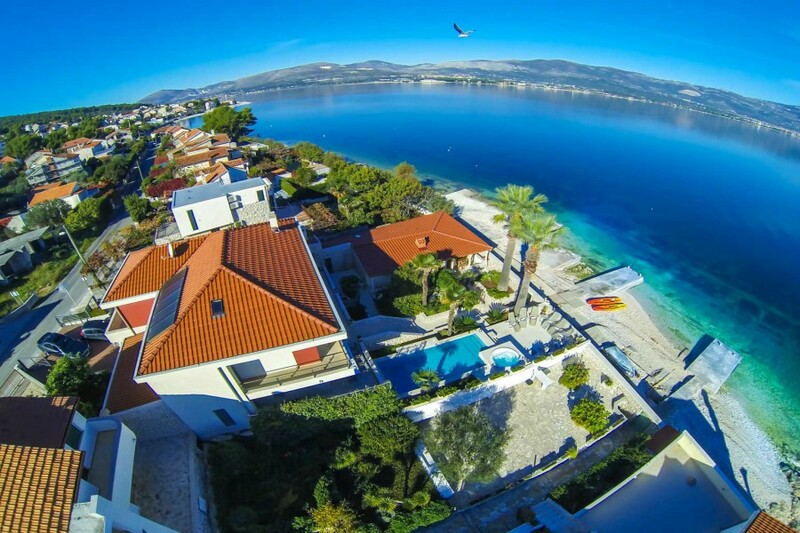 Trogir is the main villa area of the Split Riviera so expect family beaches, off the beaten track beaches, cool beaches – it’s all covered. 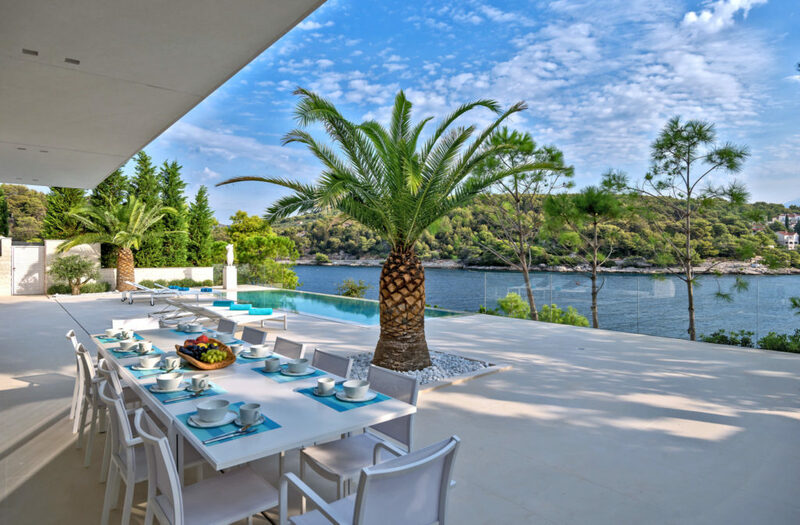 Palm Tree Villa has two huge palm trees which testify to the time the villa has sat on the sea shore. 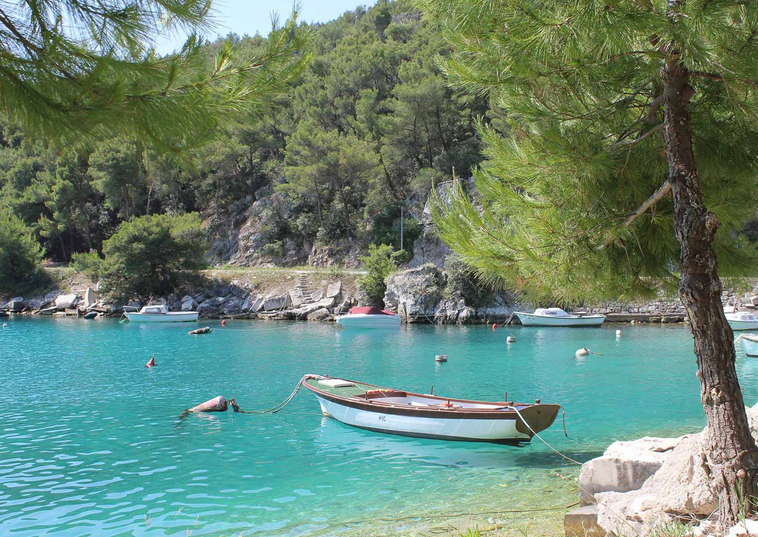 Its immediate area has pretty beaches and beach bars if you can bring yourself to leave the confines of this perfect spot!